We camped the first night on the Ottertrack. Kinda buggy, so Becca read inside the tent. 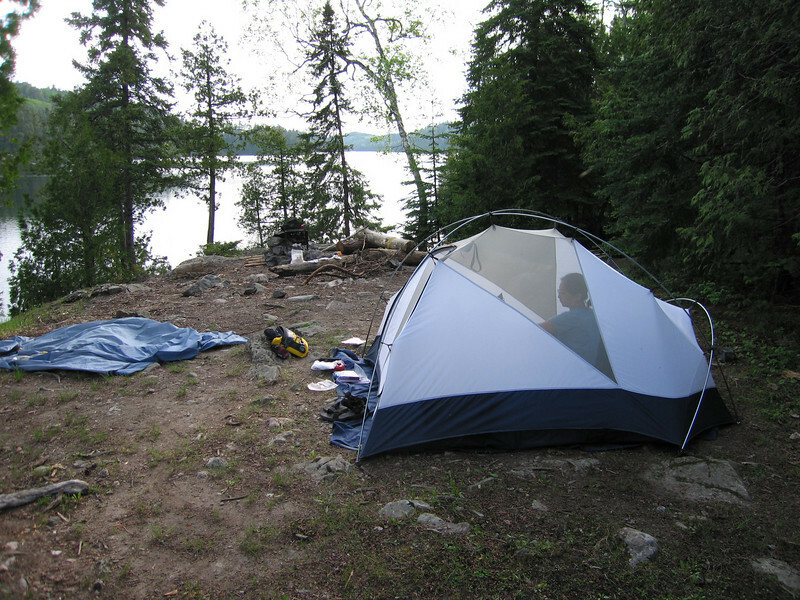 This happens to be the same site I camped at with high school friends on my second BWCA trip back in 1998.